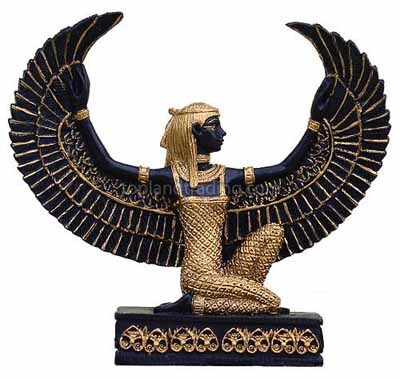 As all things in our reality have positive and negative polarities, archetypical Isis is portrayed as having dual aspects of Light, and Darkness which link with magic, illusion, time, and the alchemy of consciousness. Out of Africa she would be portrayed as a dark skinned woman, though in modern times she is depicted as fair. 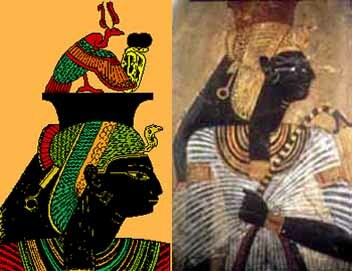 Black Isis was a magician, possibly the archetype for the high priestess of the tarot. She learned her magic from Thoth, although according to some legends she obtained her powers from Ra himself by tricking him into revealing his name to her, thus acquiring his full magical knowledge. The ankh used by Isis with her Initiates may account for some of the oddly-shaped scepters carried by the Black Virgins.